Ajith and director Siva has teamed up after the super hit success of ‘Veeram’ and the combination was enough to push the expectations levels to the sky. The pre-release buzz was highly positive. Has the film offered what it promised? 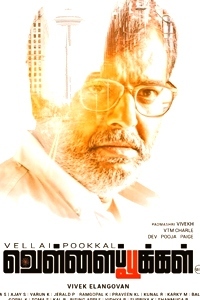 Ganesh (Ajith) reaches Kolkata for the higher studies of his younger sister Tamizh (Lakshmi Menon) He starts working as a taxi driver and helps police nab an important member of an international syndicate of criminals run by three brothers (Rahul Dev, Kabi Singh and another one new actor). Ganesh incurs the wrath of the criminal network. Only when he was dragged in to be killed we come to know that the purpose of Ganesh’s visit is dismantling the mafia by killing its three heads, To know what is the reason behind this mission and how Ganesh accomplishes it, watch ‘Vedalam’ in theaters. The film highly depends on Ajith’s star power, mass appeal and his skills to perform and entertain his fans and general audience. Writer director Siva emerges a winner in capitalizing the phenomenal positives of Ajith as an actor and as a star and manages to serve us a product of high octane entertainment despite a few glitches. As said before, ‘Vedalam’ is a mass film and don’t expect a great story. There are predictable twists, convenient turns of events, logical lapses and all that are common in a mass film which would require us to keep our logical thinking aside and enjoy the show. Even the names of villains and what they really do are not well explained. The script does not even care to establish the hero’s character as a supremely powerful human being with a proper background to make his victory over an international mafia of criminals appear somewhat convincing. But given the large than life image of Ajith and the way the star has pulled of this character would make you forget these things while watching the film. Despite with an ordinary story and limited scope for suspense and thrill, Siva has managed to maintain some suspense element by hiding some details about the lead characters throughout the film and they make the film much more interesting than a mere super hero film. . He has created a suspense filled character that will suit the image of Ajith and also written some fantastic dialogues that will make his fans erupt in Joy. Lakshmi Menon does not know the real background of Ajith and this gives room for a lot of dual play in Ajith’s character. The way Siva has played some games within the script with this has resulted in lifting the fortunes of the film as a wholesome entertainment package. The first half is predominantly allotted to comedy but they hardly evoke laughter. Only after 45 minutes running time, the first fight sequence occurs in the film. But the timing it comes. The way it unfolds and the way it has been conceived and executed makes us forget everything and enjoy. The interval fight block and the revelation about Ajith’s character that follows is another sequence to watch out for. The second half is predominantly entertaining without considerable lags. The character of Ajith as a north Chennai rowdy who would do anything for money is well etched out and offers enormous scope for entertainment. The pre-climax portion with a slight twist and the climax fights add up to wholesome satisfactory feel of the film in terms of entertainment. Brother-sister sentiment scenes backed by some meaningful dialogues penned by Siva have worked out well and that will sure be a delight to family audience. The adage that Ajith carries the film on his shoulders suits to this film than any other film the actor has acted so far. His performance level as an entertainer goes a few notches higher in this film. With his usual finesse in action sequences and sarcasm intact, Ajith dances and also hums some old songs in this film. He also utters the north Chennai slang impeccably. For his fans who would go berserk for his mere look and walk these are surplus entertainment moments. 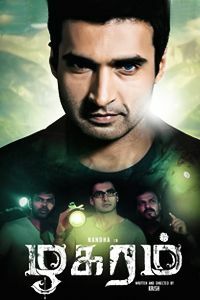 The performer in him comes to fore in emotional scenes. 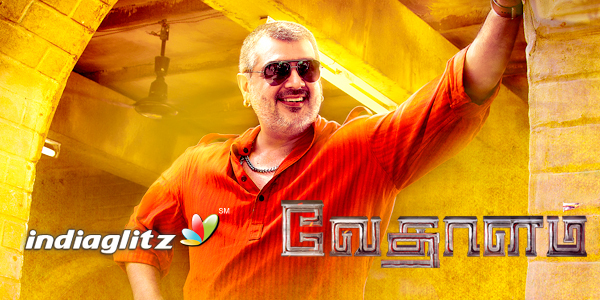 Overall this is going to be a memorable performances of Ajith in his career as a mass hero. Shruthi Haasan comes across as another crazy girl kind of heroine who first misunderstands the hero and tries to avenge him only to get smitten by his extreme kindness later. Soori’s antics and dialogue delivery raise a few guffaws her and there but overall it gives a feel that the comedian could have done much better to lift the entertainment value in first half. Lakshmi Menon is convincing in her role as a kind-hearted innocent girl while Thambi Ramiah beautifully capitalizes the opportunity perform in his last scene with Ajith. Music is one of the big plusses of the film Songs, two each in both the halves, thankfully do not hamper the pace of the narration. While ‘Veera Vinayaka’ and ‘Aaluma Doluma’ are mass number that succeed in setting the dancing mood, the other two songs pass muster. Rerecording in the action scenes, especially the Theri theme is fantastic. Stun Silva ‘s actions sequences is the most efficient entertainment booster of the film. The entire team of Silva, Anirudh, cinematographer Vetri, Editor Ruben, director Siva and Ajith who has pulled this off on the screen should be commended for such a brilliant effort in all the fight scenes of the film. 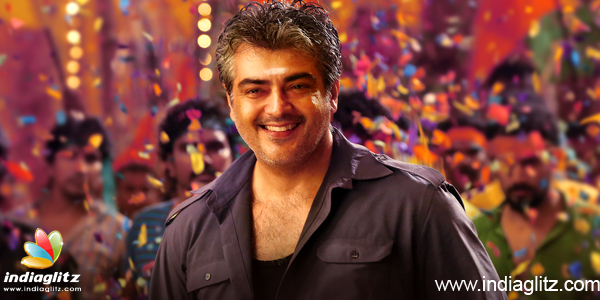 Verdict - ‘Vedalam’ is an enjoyable mass entertainer. Put on your seat belts and enjoy the ride.